born in Berlin in 1934, lives and works in Baden near Vienna, physiotherapist, guider of the dying, tone-soundpainting, writer, poet, producer, director of the festival More Ohr Less, innumerable releases, concerts around the globe since 1968. RELEASES Approximately 230 CDs/LPs. King of Hearts, 2012, Subrosa/Brussels. Lunz, 2003, Groenland-Records. Sinfonia contempora Nr.1 – von Zeit zu Zeit, 1999, BSC/Prudence. 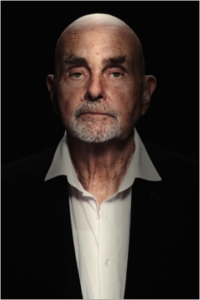 EXHIBITIONS Roedelius-Lifelines, 2015, Haus der Kulturen der Welt, Berlin.